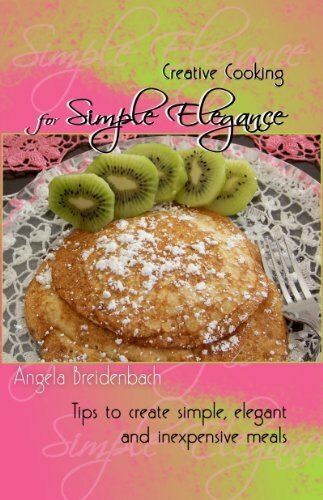 Creative, gorgeous, elegant recipes to make inexpensive meals by a fitness and nutrition coach. Includes notations for Celiac, IBD (Colitis, Crohn’s, IBD), and Weight Loss. Full color photos for each dish including some step-by-step photos. Luscious uses for left overs, special Christmas treats, international flavors mixed with great American style made with easily found ingredients. Food that tastes like it’s been handed down for generations (well, some recipes have.) Try Swedish Pancakes, Quick & Easy Eggdrop Soup, Bruchetta Ensalada, Sweet Potato & Apple Streusel, Mexican Lasagna, Blooming Chicken Savories, and Grandma Bigelow’s Orange Rolls. Just don’t forget to make the Caramel Corn for your Christmas gifts, if you can get it out of the house! These recipes are expanded due to popular requests for a cookbook for the general public.Do you need the tips for people with IBD issues? 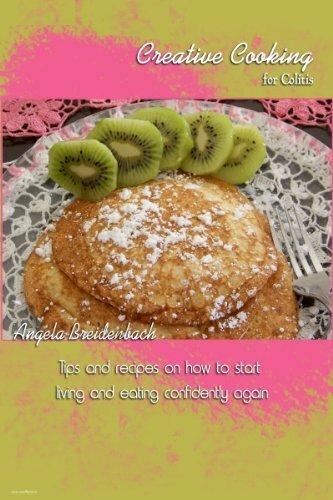 Check out the Creative Cooking for Colitis book with information to help overcome gastric challenges that worked for me (Angela Breidenbach). Other Books in "Creative Cooking"